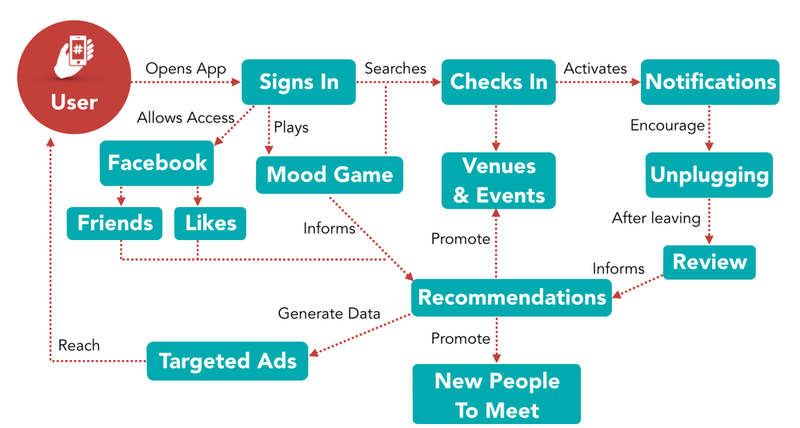 Facebook login allows the app to learn the user's interests and friend list in order to better provide smart recommendations. 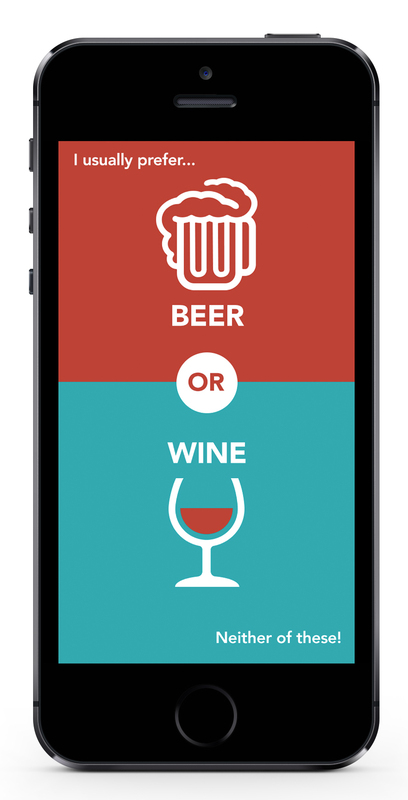 On first launch, the app guides the user through a set of questions to learn their mobile use habits more effectively. Short questions are presented to the user in order to make the app's learning process quick and painless. 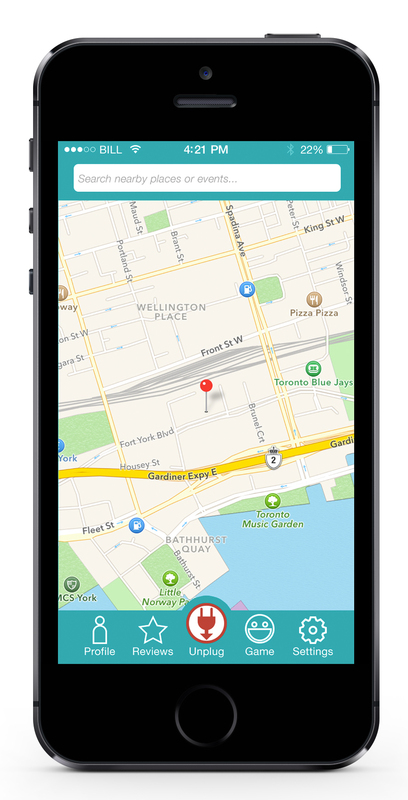 The app uses geolocation and what it knows about the user to recommend places and activities to go to. 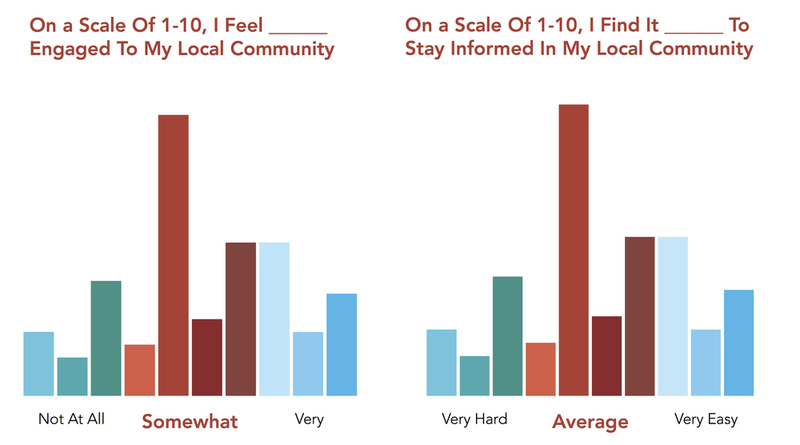 When the user checks into a venue or event, the application begins to measure the time the user spends on his or her phone, while making smart recommendations for interacting with people, such as: friends or mutual friends who are in the vicinity; drinks, meals, or activities to try; or nearby places to explore. The app gives the user the option to control their unplug settings. 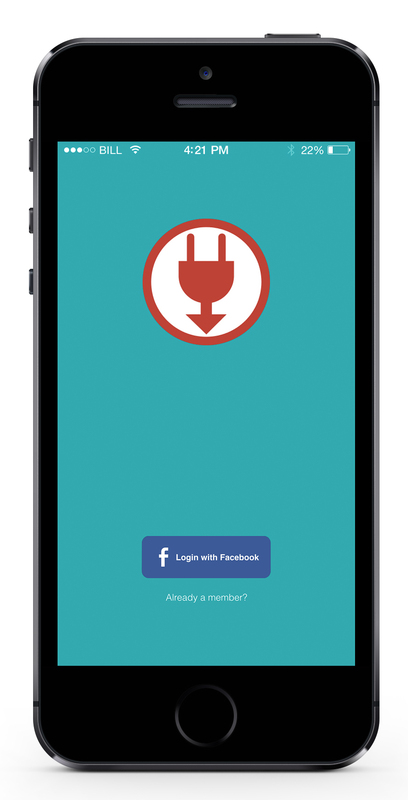 If a user chooses to unplug while checked into a venue or event, the application will remind the user to put their phone away after five minutes of active smartphone use, while suggesting a recommendation via push notifications. 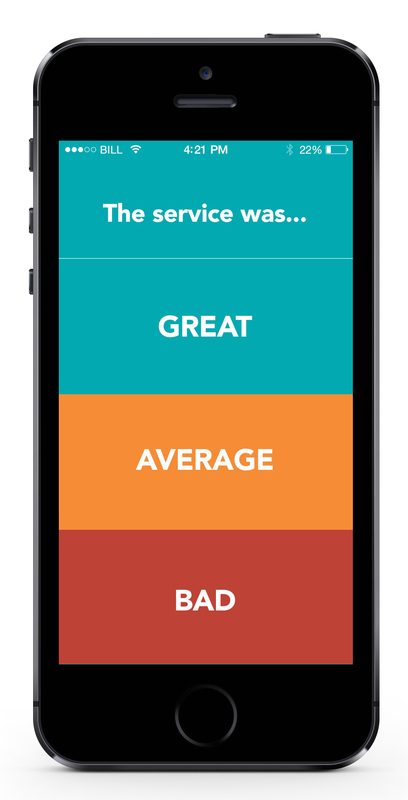 Once the GPS detects that the user has left the venue he or she was checked into, the app prompts the user to review the experience in simple, direct questions. This helps the app learn more about the user's preferences and continues to optimize the quality of its recommendations. The app was designed based on user research on attitudes and uses of smartphones with regards to public social settings.